Lower back pain isn’t something you should have to live with. If you have major lower back pain, muscle spasms, and can hardly walk, then a neuro-muscular massage is for you. When proper blood flow isn’t making its way to the muscles in your back, you are in return suffering. That’s why it’s important to have a specialist take action and give your back the attention it deserves. ​You can eventually feel relief with the help of a neuro-muscular massage because the helpful pressure the massage dictates will eventually relieve the pain you currently feel. Proper communication between you and the massage therapist will allow you to have the most productive massage possible. If you’re ready to take the next step in getting rid of pain via a neuro-muscular massage, get in touch with Elkhart Massage today! 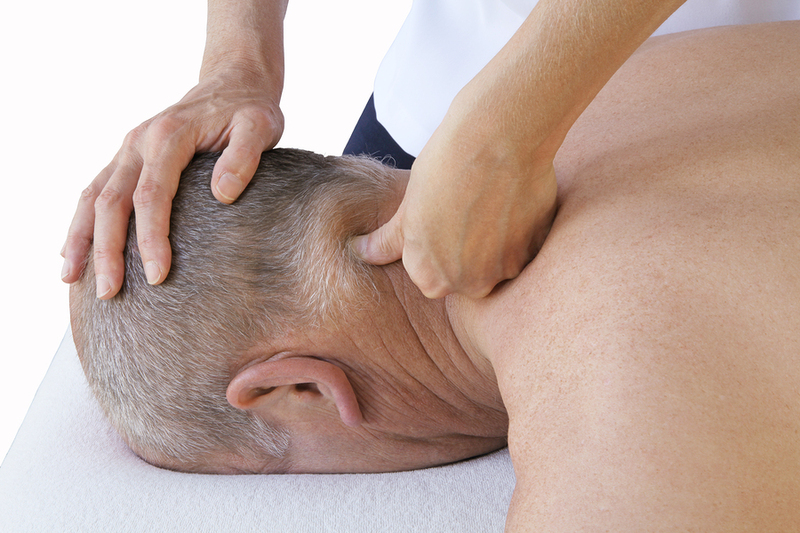 Neuro-muscular massage therapy with Elkhart Massage therapist is a highly specialized way of manual therapy. This form of massage is recognized by The American Academy of Pain Management as an effectual remedy for all kinds of back pain caused due to the injury of soft tissues such as muscle strains. Ischemia is the most common type which appears due to lack of proper blood flow which leads to improper oxygen supply to the muscles as well. In response to this lactic acid is produced within the muscles making it sore following physical activity. Neuro-muscular massage helps in removing all the lactic acid produced previously in the muscles and hence, the muscles start receiving enough oxygen and blood. Other problems that neuromuscular massage addresses includes; neural entrapment which is characterized by muscles and soft tissues exerting pressure on nerves, nerve compression which is characterized by osseous and other bone-like tissues such as cartilage and discs etc exerting pressure on nerves, myofascial trigger points which is characterized by hypersensitive points in the muscles that arises referred phenomena, which brings pain. Individuals under healthy conditions carry out nerves transmit impulses to the body at a slow pace. These are responsible for locomotion, functions, movement and even thoughts. Having injury, trauma, postural distortion, anxiety and stress cause nerves to transmit the signals at high speed, equilibrium inhabitation and make body highly prone to chronic pain and various dysfunctions. Therefore, it is essential to regulate and stabilize maintained levels of neurological activity for normal functioning and overall healthy body. Neuromuscular massage therapy with Elkhart Massage has profound effects on the clients who present with chronic pain and works efficiently on the elimination of longstanding painful conditions. Special tactics are applied on acute injuries. Special care is given to the post-surgical patients. Many others get help in improved performance in dance or sports. Neuromuscular massage therapist is educated and trained in physiology of the central nervous system, its effects and functions on skeletal system. The procedure comprises of alternating levels of high and low intensity pressure on the targeted areas having trouble. Pressure application is generally done with the fingers, elbows or knuckles. The pressure is not exerted more than thirty seconds. Many people relate these pressures as the “good pain”. The key benefit of neuromuscular massage with Elkhrat Massage is not only to rectify and eliminate all kinds of pains but to restore healthy functioning along with the awareness of clients about what and how they can do and continue at homes which benefits them to keep their progress multiplying.